Like many of the sites we build, Shual.com was build on the wonderful Content Management System WordPress. 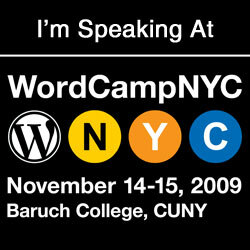 That makes it even more exciting for us to be speaking at Wordcamp NYC 2009 (Nov 14-15). Mushon will be talking about open sourcing the design process with a special focus on the work done by the WordPress community.